Or What I Learned During My Time in the Louisiana Regional Archaeology Program . . . The Fall 2013 Newsletter of the Louisiana Archaeological Society had bad news. Louisiana’s Regional Station Archaeology Program is now effectively disbanded because of state budget cuts. There remains one regional station in Northwest Louisiana along with the Poverty Point Station Archaeologist. As Poverty Point was recently nominated as a World Heritage Site of UNESCO, hopefully the state will continue to fund the Station Archaeology Program at this premier earthwork complex in the New World. From 1996 – 2003, during my seven years as the Station Archaeologist at Poverty Point, under the direction of the late State Archaeologist Tom Eubanks and the current Manager of the Outreach, Regional, and Station Archaeology program Nancy Hawkins, my commitment to public outreach as an applied archaeologist was formed. Both Tom and Nancy’s vision of public engagement never wavered. 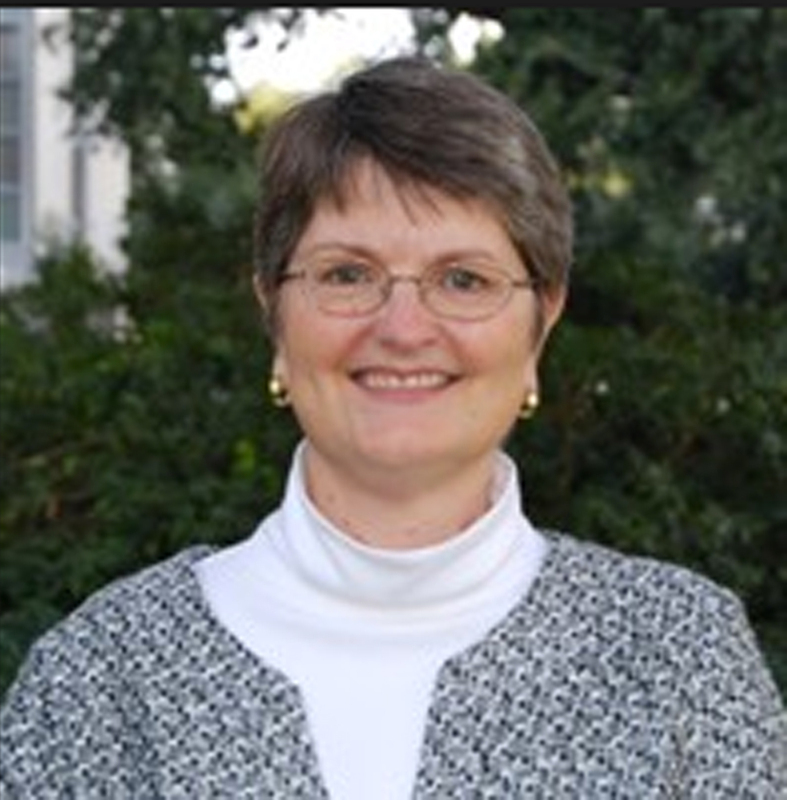 In fact, it was under the 20 plus years of leadership by Nancy Hawkins that the Louisiana’s Regional program helped set the standard on which other state archaeology programs were built. During my tenure as the Poverty Point Station Archaeologist, I was first able to respond to the challenge I received in my first field school experience – to act as a public servant who performed tasks that were relevant to those whose tax dollars paid my salary. One of my first experiences in public outreach in Louisiana archaeology was with Debbie Buco, a very enthusiastic Talented and Gifted teacher from Baton Rouge. Nancy put me in touch with Debbie who was using the archaeology of Poverty Point to teach natural sciences, humanities, and social sciences to her second through fifth grade students. After my first few conversations with Debbie, I was not certain how I could fit into her work, but I knew I wanted to tap into her enthusiasm. For a period of several months in 1997 I had a regular email exchange with her students answering questions about the prehistoric life at Poverty Point. What did the Indians eat? What did the kids do for fun? What were there houses like? As we went back and forth via email, I learned valuable lessons on how to use archaeology to engage with the students. 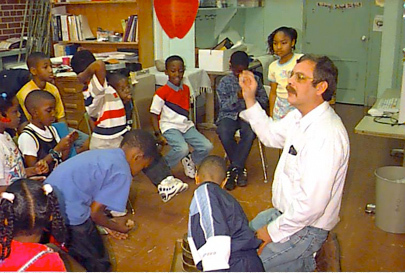 In-class presentation, Buchannon Elementary, Baton Rouge, 1997.
the students concluded in unison. Though impressive, it was not that the second through fifth grade students had learned to memorize the names of artifact types they had only seen in pictures, or that they could understand formation processes better than some undergraduates in Introduction to Archaeology classes I have taught. Rather, archaeology had set the students on fire in learning to read, conduct scientific experiences and more. Ultimately Debbie Buco produced the volume Poverty Point Expeditions, a workbook that uses archeology to teach physics, scientific experimentation, story telling, and more. Nancy saw to it that the Louisiana Division of Archaeology produced thousands of copies of the book for distribution to teachers throughout the state. A streamlined version of the book is available online. 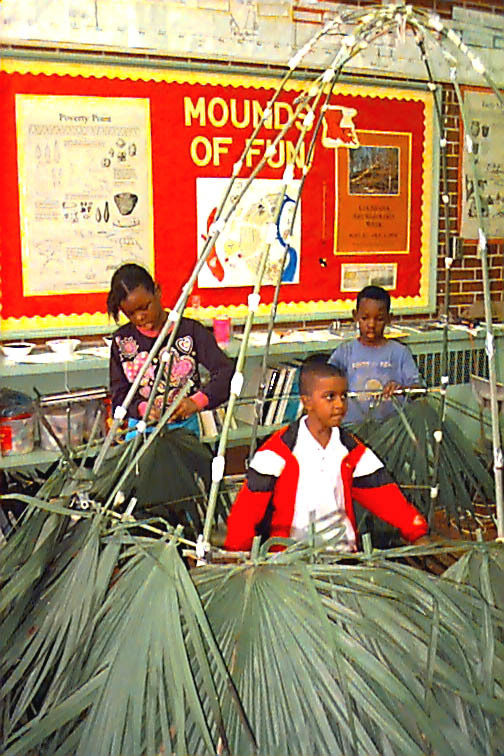 Palmetto house built by students at Buchanon Elementary, Baton Rouge, 1997. Nancy organizes Archaeology Month in Louisiana and during my time at Poverty Point it was always a big deal. I enjoyed the opportunity to take the archaeology show on the road as it were for up to two weeks every year. My m.o. was to arrange for a school presentation during the day and then a public presentation at a library or other civic center in the evening. I have spoken in a good number of the small Louisiana towns that might have only one traffic light and a small library. I have posted before about some of my very memorable classroom experiences during Archaeology Month. And the collectors nodded in agreement and began to talk about the clusters. The next year when I spoke at the Belzoni library a couple of the collectors reported they had begun to take note of where they were recovering different types of artifacts. Today there is a small museum in Belzoni where some collectors have donated portions of their collections from the Jaketown site. Without fail for seven years, even the most restless student would grow quiet and strain to see those bits of prehistoric garbage. I could ramble on with many more examples of the lessons I learned in applied archaeology and public outreach during my time as a part of Louisiana’s Regional Archaeology Program. I am in debt to the Louisiana Division of Archaeology for giving me the opportunity to learn these skills. 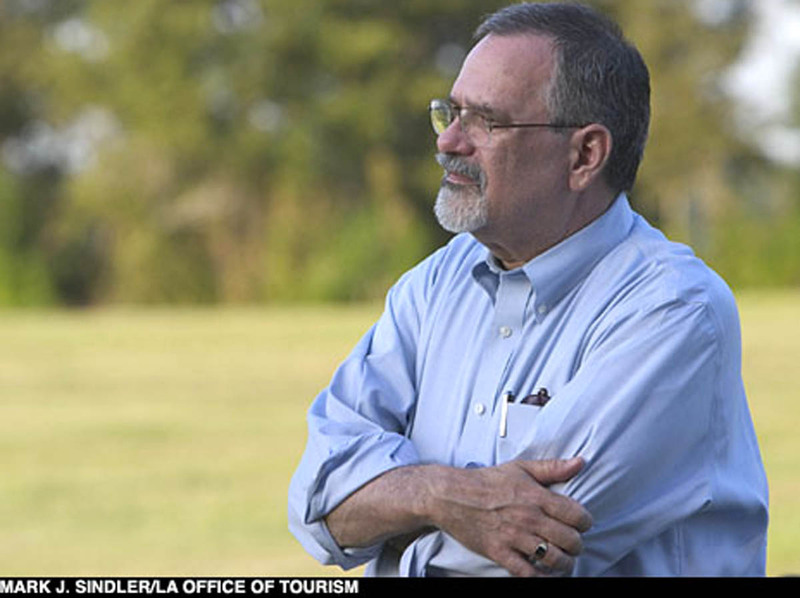 Though the Regional Archaeology Program may be gone, the 20 years of work by Tom Eubanks, Nancy Hawkins, and all of my archaeological colleagues in the state will surely result in new and innovative directions for the preservation and presentation of the rich cultural heritage of Louisiana. I got a call the other day asking for an archaeologist to come to a 5th grade class to talk about hunter gatherers and how archaeologists interpret prehistoric sites. In the corner of my office, I see that I am still using that same bucket of dirt, replenished on occasion, to talk about the same prehistoric garbage I started with over 15 years ago in Epps, Louisiana! Sadly, I have seen so many archaeology and cultural programs cut in recent years. It’s so frustrating.